Investing in tools that are designed to perform specific tasks is all about buying confidence. It's reassuring to know that you might have at your disposal the best possible tool for the job. Reality, though should play a part in the decision making process so more often than not we're required to call on our natural capacity for resourcefulness to get by. Rather than look at the new Lie-Nielsen low angle jack rebate in isolation, I thought I'd grab a couple of low angle and rebate planes off the shelf to see whether in fact I could make do with the tools I already have. To start with I guess we should look at what constitutes a low angle in the first place and what the benefits might be. 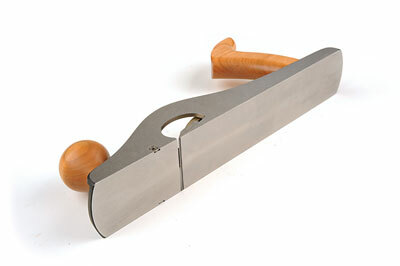 The description is widely attributed to planes with an effective cutting angle of less than 45°. This is typically made up of a 12° bed onto which a blade ground to 25° is mounted with the bevel facing up. This configuration achieves superb results when planing with the grain in relatively soft straight-grained timber, preferably true quartersawn, working perpendicular to the growth rings. A low angle requires less effort to push the tool through the material resulting in a very pleasurable experience for the user. For the same reasons a low angle is an effective tool for trimming end grain and would make a good companion for your shooting board, as this covers most of the work you will carry out on this workshop essential. The holy grail of plane tuning is often considered to be a tight mouth, but what's sometimes overlooked is the benefit of a wider setting. For certain applications, such as a low angle plane used on straight-grained timber, a wider setting will deliver excellent results. However, there are exceptions to every rule and hitting a patch of opposing grain will result in some spectacular tearout if you haven't spotted it. A feature of the rebate plane is the ability to cut right into the corner of a rebate or groove in much the same way you might with a shoulder plane to adjust or clean up tenons. The principles are the same with both planes as the blades are purposely made slightly wider than the body. 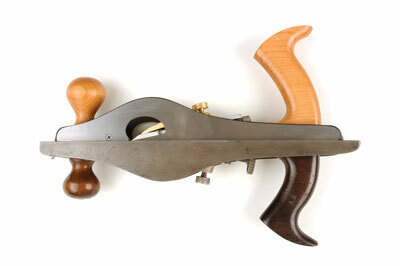 A simple way to prepare the plane for use is to lay it down on a flat surface with the blade held finger-tight in position. With a suitable digit placed at each end of the blade, you should be able to wiggle it down to register it flush with the side of the plane. To achieve a slight projection, put a piece of paper underneath the plane body just shy of the blade and carry out the same procedure. Take care when setting the blade to ensure the cutting edge remains parallel to the sole and not skewed. This will produce shavings that are not equal in thickness across the width of the cut. A setup like this causes the plane to lean to one side after the first pass, getting progressively worse thereafter and impossible to achieve clean square corners. The quality and finish of our Lie-Nielsen plane is every bit as good as you might expect from a manufacturer of such repute and perhaps needs little explanation other than to say it's faultless and genuinely ready to use out of the box. The 4.6mm A-2 blade advances on a full width bed at the required 12° beneath a cast bronze cap iron. The distinctive cherry handles are generous in size and comfortable nonetheless with the rear one echoing signs of an earlier period. 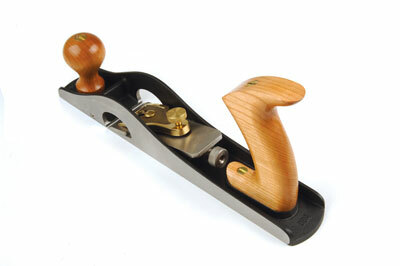 Compared to our original Stanley No.62 it's around 30mm shorter in length at 353mm and a good 90mm longer than the Stanley No.10 1/2 carriage maker's rabbit plane shown above. The LN features retractable scoring wheels - nickers - in the side of the body designed for use when working across the grain. These are a little hit and miss to set as the act of tightening can see them retract back into the body if you're not paying attention. To be honest, this isn't really a dealbreaker and you'll soon learn to compensate for this. Just make sure you do retract them before returning to regular use. Performance-wise this plane is all about technique and if you're to benefit from owning one, I recommend you put in the time early on to discover what it's capable of. Panel raising, for example, can be carried out from a single knife mark if you repeat the score line every few passes. It will require a lot of lateral pressure into the corner of the detail and control over the vertical position, but once mastered, it's a real blast to create this detail using only hand tools. Quicker still and a lot safer is to clamp a fence to the workpiece and work off that. I regularly use a Veritas low angle skewed block plane to clean up machined mouldings like this; it performs a lot better across the grain than a square on edge. You could argue that without an adjustable mouth the LA Jack rebate is a one trick pony, but considering the limitations of our two antique Stanleys, I think I could live with that. Where it comes into its own is levelling off wide tenons like bread board ends or large scale joinery components, and in this guise it is not an alternative to machine work but a quicker means of finishing up. 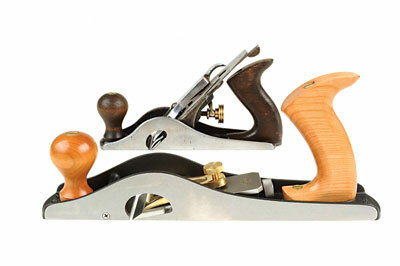 Hand tools like this will put you back in touch with the material, which is something I can heartily recommend.